'This unusual book tells the story of an astrophysicist's search for meaning from psychological, philosophical, and spiritual points of view. Mansfield weaves personal memoir with clear scientific discussion and quotes such famous thinkers and writers as Steven Weinberg, Jane Goodall, Joseph Campbell, C. G. Jung, Nelson Mandela, Robert Frost, and the Sufi poet Rumi. 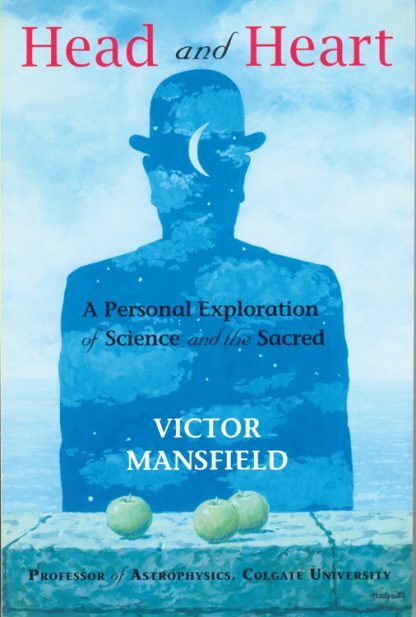 In plain language, Mansfield explores radio astronomy, the nature of time, relativity, cosmological expansion, and quantum mechanics with personal examples of meditation, dreams and synchronicity to show that spiritual experience offers a fundamentally different window into reality than that given by science. And he tackles these questions: What is invisible matter? Am I merely a complex tangle of atoms and molecules controlled by the laws of physics? What is the nature of soul? How is modern science a form of religion? You will be charmed by Mansfield's anecdotes to dramatize his own struggles with such questions. In a culture where the relationship between science and spirituality continues to be strained, he offers hope for a higher synthesis that embraces dissenting worldviews and encourages compassionate action in the world.